A warm welcome to Monica Kenzie, the newest Job Postings Liaison! Monica will joining the ArLiSNAP team as a Job Posting Liaison, keeping us up-to-date on employment opportunities. Hello everyone! My name is Monica Kenzie and I’m excited to be serving as a new ArLiSNAP Job Postings Liaison! I graduated this spring from the University of Michigan School of Information with a Master of Science in Information. My arts background includes a BA from the University of Michigan in Art History and experience working in a variety of arts institutions in many different capacities. I served as director of a contemporary art gallery in New York City, communications assistant at the University of Michigan Museum of Art and have held several internships and volunteer positions as well at the Archives of American Art, Smithsonian Folkways Institute and the Detroit Historical Society. 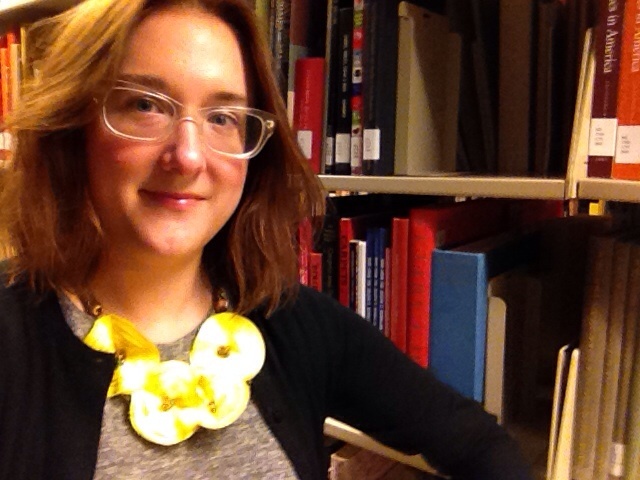 For about a year and a half, I have been working part time at the Detroit Institute of Arts in the research library and archives cataloguing, working with archival collections and performing reference services. I am currently looking for a full time position, so I know the all the hard work that goes into job hunting! As I continue my search, I plan on sharing my journey, and of course job postings and continuing education opportunities as well, to help fellow new-comers find great jobs and keep learning. Hopefully I will have a success story soon to share, and I would love to hear yours as well! I am looking forward to meeting you all and wish everyone searching the best of luck! Please don’t hesitate to email me with any suggestions or tips to share! Cheers!